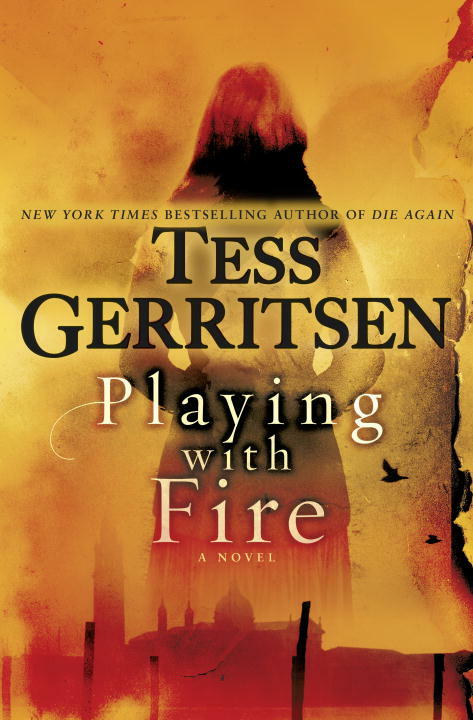 I’ve read all of Tess Gerritsen’s novels and have loved each and every one. Her background in the medical profession is evident by her ease of writing medical suspense with both clarity and interest. Her books are very difficult to put down, as they captivate the reader from the very start. Her newest novel, Playing with Fire, is a stand-alone and is rather different from any of her previous works. She combines suspense, mystery, family drama, and historical fiction, and she does it beautifully. One of the coolest things about this book is that Tess actually composed a piece, a waltz titled Incendio, which is the theme music for the story. Not only is she a very talented writer, but it turns out that she is just as talented musically. A sample of Incendio can be found at http://www.tessgerritsen.com/. Listening to the music after reading the story made it even more powerful. What a nice treat to have a musical score to go along with such a wonderful story. The story switches back and forth between present day and 1940’s Italy during WWII. Modern day, Julia Ansdell, a violinist, happens to find some very old music in an antique store in Rome. The music, which has never been published, captivates her and she begins to learn the complicated waltz, titled Incendio. The music starts to affect her three year old daughter in horrifying ways, which in turn causes Julia’s husband to worry that her mental health is unstable. Julia is scared, because her own mother was deemed criminally insane and she died while at an institution. Could the mental illness be passed down to her, or worse, to her 3 year old daughter? Determined to find the source of the waltz and its composer, Julia takes off for Venice while her family thinks she is elsewhere. What and who she finds there will shock the reader, as well as Julia herself. During 1940’s war torn Europe, young Lorenzo, a talented violinist, and also a Jew, begins practicing music with Laura, a beautiful Italian cellist. Lorenzo finds himself falling for Laura, despite the odds against them. Soon, Lorenzo and his family are rounded up by German soldiers, ripped from their homes, and sent by train to the concentration camps in Poland. Lorenzo is torn from his family by an officer charged with finding musicians to play at the concentration camp. While there, he composes the waltz, Incendio. I won’t give away any more of Lorenzo’s story, because I don’t want to spoil the ending. Let’s just say you’ll want to read it for yourself. This is a beautiful story, and I wish the novel was longer, because I read through it and found myself wishing for more at the end. Playing with Fire is a wonderful example of the powerful, lasting affect which music has on a person’s life, memory, and attitude. Well done, Tess. This is one of the best pieces you’ve written!